THE DEVELOPMENT The Museum of London is relocating to a new home in West Smithfield. The new larger premises will enable the museum to welcome two million visitors annually with increased space for exhibitions and a state-of-the-art learning centre. 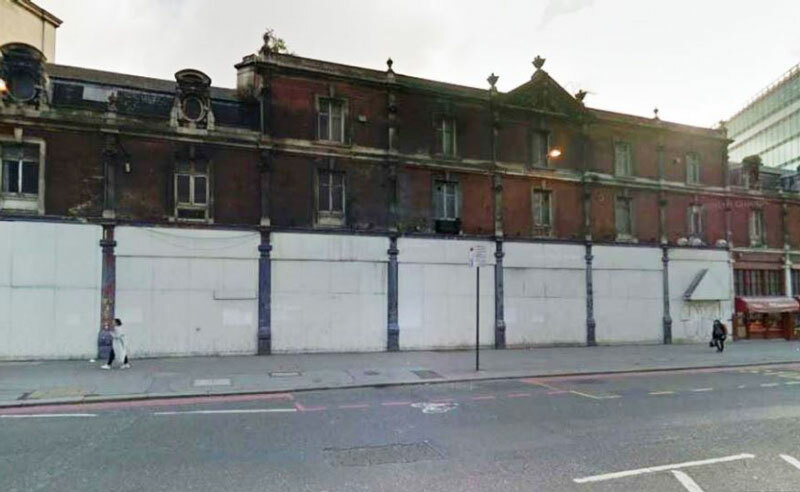 The redevelopment will utilise a number of historic and Victorian buildings including the former Smithfield markets. 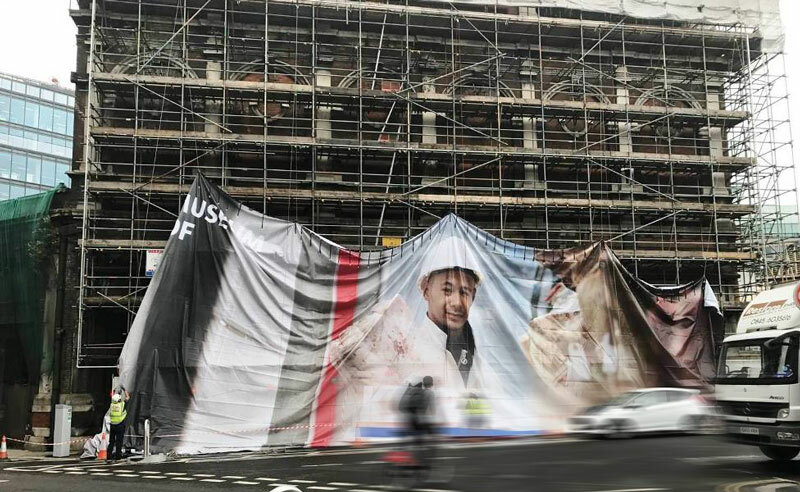 THE BRIEF Embrace were asked to supply a giant banner to cover the scaffolding on the Red House building, along with durable graphics to cover the hoarding at street level on the busy Farringdon Road. As the banners could be in place for up to five years they needed to be robust enough to withstand the weather, impact of the building works and potential vandalism attempts. 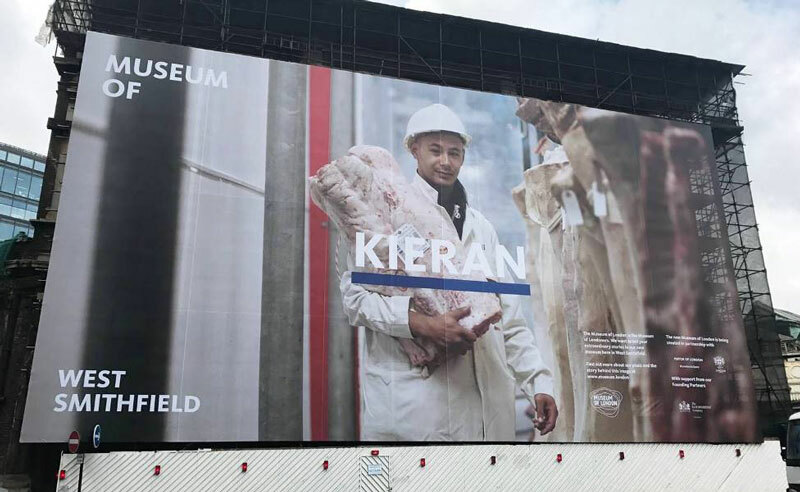 The banners would be used to spread the word that the new Museum of London is coming, to communicate the exciting future of the West Smithfield site and also to attract potential funding and partners. 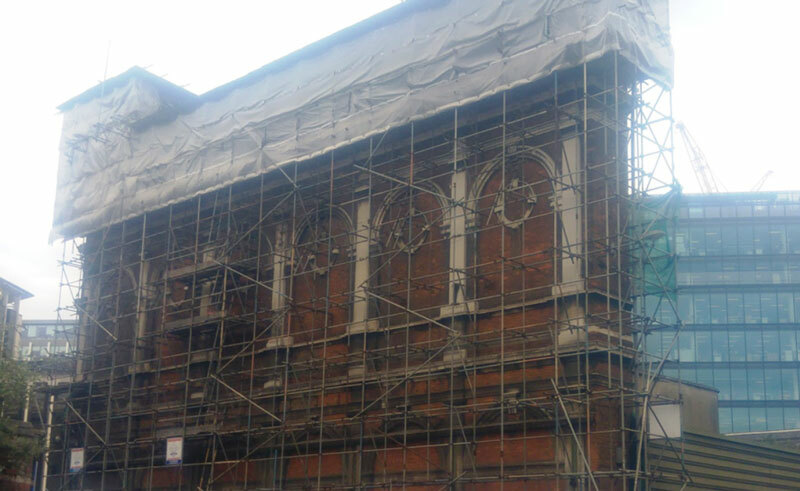 As parts of the West Smithfield site, owned by the City of London, are Victorian, special care would be needed during installation to prevent any damage to the buildings. We were asked to deliver the installation in a short timeframe to a set deadline, and to cover a section of the creative for a big reveal of new branding at an early morning media event.  THE SOLUTION Embrace offer a one-stop shop with our full project management service as standard. We were able to provide advice, full site survey and then work directly with existing contractors and tradesmen. Detailed method statements and risk assessments were provided for the installation and we helped with the planning application before subsequently printing, installing and covering the banners in line with the brief. We safely installed the giant banner on the scaffolding surrounding the Victorian Red House measuring 26 metres tall by 13.5 metres wide. Alongside this we installed the striking printed site hoarding on the Farringdon Road using seven individual DIBOND® panels. Each panel measured approximately 5m x 5m with slight variations in size and accommodating issues with doors, protrusions and columns which needed to be protected. Anti-graffiti hoarding graphics were used with a gloss finish enhancing the impactful photography. 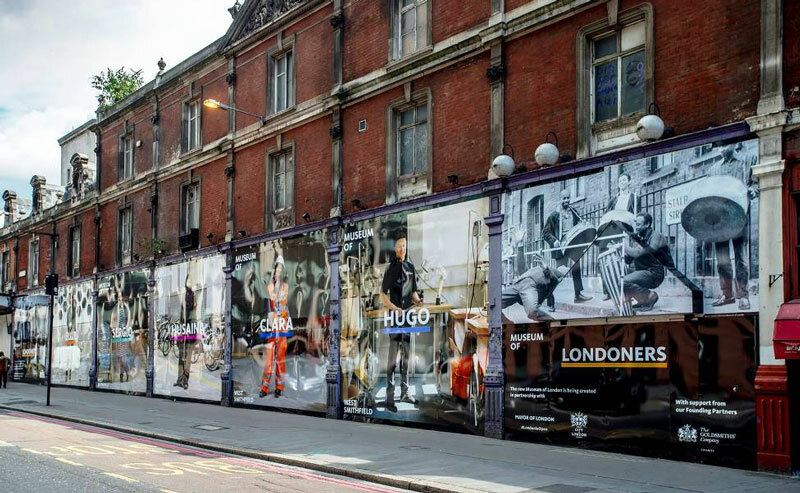 Embrace were able to deliver the installation on budget and in time for the hugely successful media event and were able to make the Museum of London’s future home look more attractive and dynamic while they continue to work to transform the site.